You may have heard so much around term insurance plan these days. A term insurance plan is a life insurance scheme which offers you a large lump sum amount when you die during the insurance tenor. Even though up to Rs.1 crore available as the compensation, there are things that you should know if you are planning to avail the best term insurance plan. Let’s know some vital aspects that you need to know before subscribing to a term insurance plan. What is exactly a term insurance plan? The purpose of the plan is to offer the financial support to replace the income if you are longer alive. If you don’t live during the tenor, the insurance company releases a fixed amount to your family. The amount makes things financially easier for your loved ones and may fund current and future expenses. Many people still don’t avail term insurance plans as they expect the loss of the premium if they don’t die during the premium. However, they seem to be missing the bigger picture that term insurance is not at all about the returns but securing your family’s financial future. Yes, opting for the term insurance plan gives you some tax advantage but that’s not the major advantage that you are applying for it. You are applying for it for the financial security of your family and that’s what is vital than anything else. You should note that tax benefits are offered along with an insurance plan so that people can subscribe to it. The motive of any insurance is to provide compensation in any form to relieve the immediate family members or nominees off the worries in future. There are multiple types of term insurance plans available these days, many also available with riders as well. Thus, ensure choosing a product that can offer you the largest life cover, related features and riders at lower premiums. Also, look for a conventional plan that may offer the coverage even up to 80 years of age. The next thing that you need to know while opting for a suitable term insurance or any type of insurance is nothing but the premium. Some of the plans may ask you to put down a larger monthly payment and yet may not provide you with many key benefits. Thus, make it a point to assess your major aspects such as coverage needs, the ability to put down a premium each month and more before applying for a scheme online or offline. Most people don’t compare term insurance plans and pay the price of not availing the best ones. You can take the advantage of securing a better deal when you compare best insurance plans online on a third party insurance. Once you have so many policy comparisons available, it can help you make a better decision and help save as well. These days, there are a majority of online and offline term insurance plans available which you can apply as per your needs. While there are many offline plans as well, the major benefit of availing an online plan is nothing but saving money on them. Yes, compared to offline plans, online plans are affordable and easy to apply. 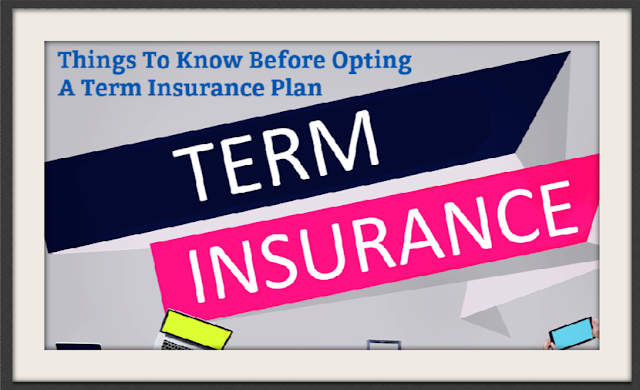 You are now aware of the major aspects before applying for a term insurance plan which should help you confidently applying for a plan as per your needs and budget. All the best!